Our team provides cybersecurity, web development, and IT solutions of all kinds: website design and development, content management systems, hardware and server deployment, cloud hosting, web application firewalls, and more. Our team combines specialized skills, knowledge, and professionalism to deliver unique solutions that exceed expectations. Our goal is to create the best looking, easiest to manage, and most budget-friendly websites and applications on the internet. We have built custom websites and applications for the Federal Bureau of Investigation, the Department of State, the Department of Defense, the Department of Justice, Lawton and Cates, Sumter United Ministries, and many more. Wildcard has always focused on giving back to the community, whether it is by donating our services or contributing sponsorships. We have designed and continue to manage several websites for local and national organizations at reduced or no cost. Wildcard Corp. continues a tradition of giving back to the community and worthy causes. Please find a sample below of the donations Wildcard gives to various communities. Wildcard has sponsored two scholarships with the University of Wisconsin - Stevens Point Foundation in the areas of Learning Disabled Students and Computing and New Media Technologies. We put an additional spin on the submission process by requiring all applications to be digitally encrypted by the student in a format other than the standard, in the format of the applicant's choice. These scholarships make significant impacts in the lives of students every semester. We sit on the Mid-State Technical College Business Advisory Council and are also working toward participating in the Information Technology Advisory Council, another one of the college’s organizations. Since 2014, Wildcard Corp. has sponsored the Alzheimer’s Association Rhythm and Brews event which is in its 14th year as of 2018. The event features beer and wine tasting as well as live music. The proceeds benefit the Alzheimer’s Association. In 2016, the University of Wisconsin - Stevens Point chapter of Habitat for Humanity, which is run by students of the university, attended their annual alternative spring break trip to help build affordable housing in other communities. Wildcard sponsored the group's journey to the Hawaiian Islands and supplied them with printed T-shirts. People often complain about small companies and their bandwidth; This has not been a problem with this contract. Everyone in their group seems highly capable and able to perform multiple complex tasks. 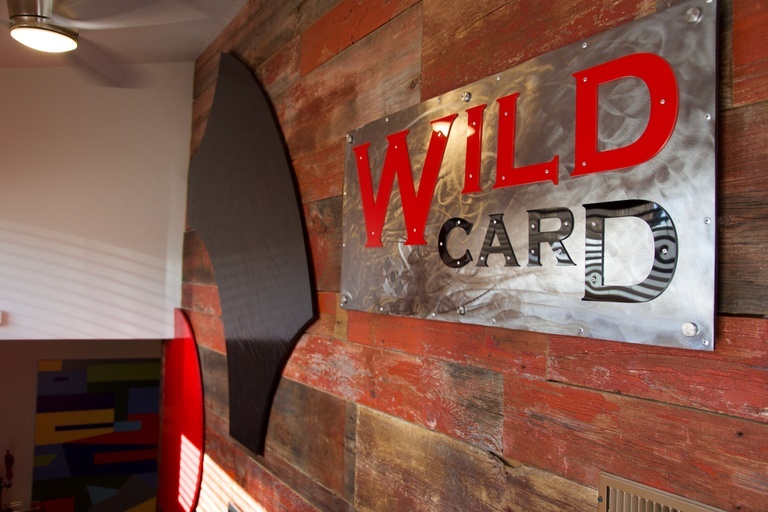 In addition to providing funding for good causes, Wildcard provides services in the name of helping others. Wildcard is a member of the Stevens Point Alliance, an entity of over 150 local businesses and organizations which promote the Downtown Point area in Stevens Point, Wisconsin. Our CEO, Mr. Senner, has been the active President for three years. In addition, Wildcard provides hosting for the Alliance’s website, and enterprise resource planning software to manage memberships, payment processing, and more. Wildcard also coordinates the area’s largest 4th of July Parade, Holiday Parade, and numerous other growing Downtown events. Sumter United Ministries is an organization that we provided website design services to at a highly discounted rate. We have spent a significant amount of time with this client, redesigning their website and providing them with a donations portal as well as secure hosting services. Wildcard donated a multitude of design work for marketing material including newsletters, shirts, letterhead, logos, handouts, full design packages, and more. We are very proud of the work we have done for them. Wildcard is a member of the Central Wisconsin Information Technology Alliance (CWITA). Their mission is to support the development and retention of Information Technology professionals in Wisconsin. Attracting and keeping IT professional to our area has always been Wildcard's goal and we're happy to be working with CWITA to meet this common goal. Wildcard employees are active members of the Plone Foundation and community, including the Foundation Board of Directors and the marketing and security teams. They contribute thousands of lines of code and hundreds of person-hours to Plone content management system projects. Wildcard has contributed many important modules and packages to the Plone core and to the add-ons collective and has organized regional Plone symposia and annual Plone conferences.